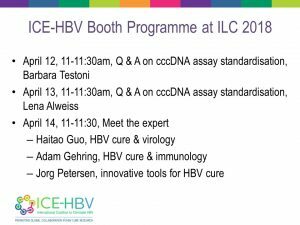 ICE-HBV is delighted to endorse the 5th ANRS workshop on HBV cure which will be held in Paris on 10 April 2018. The programme can be found here. We will have a booth at the International Liver Congress, please visit us during exhibition times on booth #822, just next to EASL community hub.